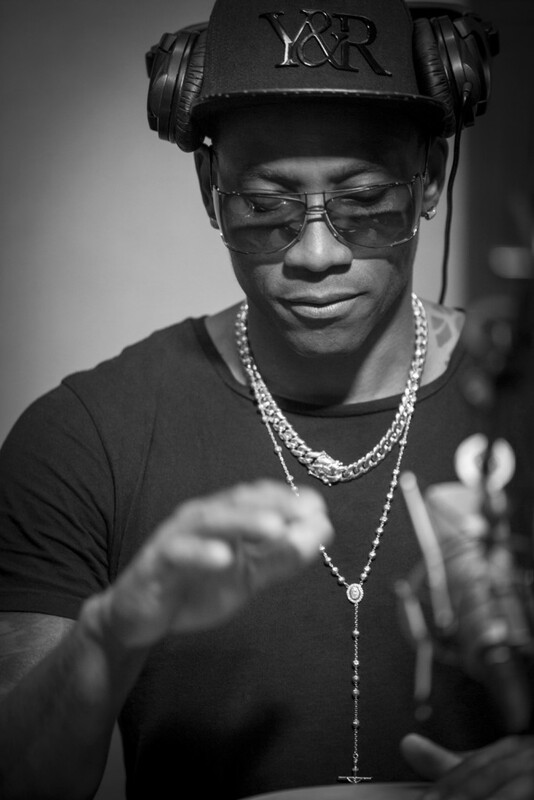 Pedrito Martinez received his musical education in the streets of central Havana. “There were so many teachers that were my idols,” he says in an interview with The Utah Review. The batá rhythms he learned originated in Africa, once performed only for kings. The performer on the largest drum, the instrument referred to as the mother of the batá drums, leads the musical dialogue, calling out the changes in performance. In solos, the percussionist puts on a magnificent display of percussion art – a full range of improvisational effects achieved by the ways in which he places the strokes with hands, palms and fingers as well as the force he strikes on the drum. The language of the drums drives the musical core for the percussionists, guitarists, singers and keyboard players in the ensemble. The effect is mesmerizing and liberating – so spiritual yet so infectious in the broader call to celebrate and dance. Martinez and his group will close out this year’s Utah Arts Festival, giving the audience an exuberant and exhilarating sendoff in the language of the drums (June 25, 9:45 p.m., Festival Stage). In the Afro-Cuban cultural diaspora that now stretches to the U.S., Martinez and many of his fellow musicians who were born and raised in Cuba exemplify a virtuosic tradition. In Cuba, young aspiring musicians had two pathways available to them to develop and perfect their art. Either they were fortunate enough, by virtue of their family connections, to be sent to one of the country’s legendary conservatories or they learned it in the streets from elders and peers, many of who were adherents to Santeria, the religion that evolved as slaves were brought from Nigeria to the Caribbean nation more than 250 years ago. As Martinez, who is a priest of the religion, emphasizes, it provided the essential path of learning the foundation that undergirds the development of Cuba’s most durable and significant music. In Cuba, some aspiring young people found their opportunity for economic and social ability through sports or medicine. For Martinez, born in 1973, music opened the door to possibilities he could only dream of as a young man. In Cuba, it proved to be a difficult test of maintaining a modicum of human dignity. 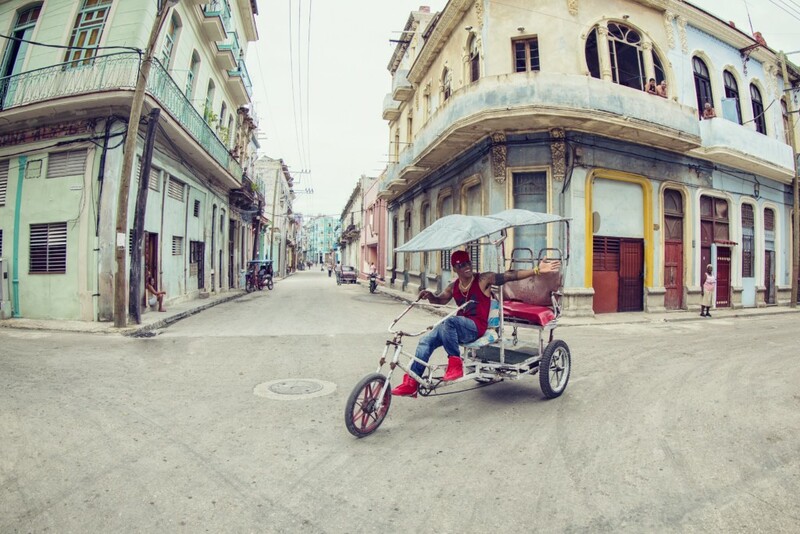 He played the drums in a Havana hotel, earning just the equivalent of one dollar per month. And, during his off hours, he could not receive or participate in any amenities, even if a guest or musician asked him. He was starving, the utilities in his family’s home were constantly being shut off and it became impossible to envision making a decent living as a musician. In 1998, he left Havana with the Canadian saxophonist Jane Bunnett and her band, Spirits of Havana, and landed in America. A year later, one of his most important mentors in Cuba, Roman Diaz, also came to the States. In 2005, the next stage of his musical career was set when he and his quartet started playing three times a week at Guantanamera, a Cuban restaurant in midtown Manhattan. Later, the group also had a regular gig at a Union City, New Jersey Cuban restaurant (La Churreria). Some restaurant patrons took salsa lessons so they could dance to the music of Martinez’s group. Musicians also took notice of the impeccable virtuosity of the young percussionist and his fellow musicians, including Eric Clapton and Bruce Springsteen, who encouraged to others to check out Martinez. Soon, Martinez was collaborating with musicians from all stripes and styles, including Paquito D’Rivera, one of the greatest contemporary saxophonists, the pianist Arturo O’Farrill and jazz guitarist John Scofield, who was featured on the group’s debut album in 2013. Trumpeter Wynton Marsalis also played on the album, which earned a Grammy nomination for best Latin jazz album. Martinez cropped up everywhere – a Carnegie Hall benefit concert and appearances with Springsteen, Paul Simon, Lady Gaga, Bruno Mars, just to cite a few. Last year, the second album Habana Dreams, Marsalis returned to play on two tracks along with singers Ruben Blades and Angélique Kidjo, the phenomenal singer from Benin who performed at the Utah Arts Festival in 2014. Kidjo is featured on Tributo a Santiago de Cuba, a song Martinez wrote to celebrate Santiago, Cuba’s second largest city and a cultural rival to Havana. For those wondering how a musician can be separated physically for so long from the home of his musical roots and still be true and compelling to them, Martinez says, as he has explained in many other interviews, that he learned so much as a child and young man in the streets and they have become fully a part of him. While Martinez had gone back occasionally to Cuba (the first being just two years after he left), Habana Dreams marked a bona fide homecoming, as he recorded the album in Havana’s Areíto/Egrem studio, a destination that would never have been open to him during his younger days. And on the Recuerdos track, he brought on the Afro-Cuban drummers to whom he is especially close: Roman Diaz; Jhair Sala from the band, and his brothers Adrian, Mario, and Antonio, who work as percussionists in Cuba. And, Martinez plans to return periodically to his homeland for new musical ventures. Other activities coming up on his schedule including appearances with Kidjo and a tour that will include performances in Italy and Colombia. However, he also is focused on keeping it grounded. “I like to keep it simple,” he explains, “and I continue to study every day.” Recently, he has put the music of Indian percussionists on his radar, drawn to the different hand stroke patterns and a rhythm vocabulary that contrasts sharply with Western music traditions. The folkloric roots of music resonate strongly for Martinez, who wants to ensure that the best and deepest roots of these traditions are never forgotten in an avalanche of commercial pop music that selectively picks cultural elements to fuse them without considering the bigger cultural backstory behind them. The band includes the percussionist Jhair Sala, the bassist Sebastian Natal, and keyboardist and arranger Edgar Pantoja-Alemán. NOTE: Photos by Danielle Moir.